Matched Betting Zest uses affiliate links. This means that sometimes when you click a link I may make a commission, which does not cost you any additional money. Matched Betting Zest is a site focused on the concept of matched betting. The aim of the site is to alert readers to matched betting hints, guides and offers that will help them to profit. However, Matched Betting Zest cannot guarantee that you will make a profit from following the information on this site. 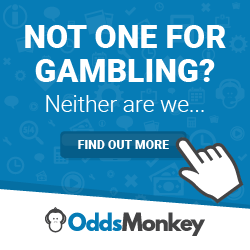 This is because matched betting offers are constantly changing and also due to the potential for human error. Matchedbettingzest.com accepts no responsibility for any acts made or bets placed following the reading of information on this website or from any links provided by this site. Matchedbettingzest.com will strive to provide accurate and up to date information, however this cannot be guaranteed. It is the responsibility of the reader to verify the accuracy of the information provided, prior to placing any bets. Information provided on this site is not a recommendation to gamble and any bets placed should only be done so with funds that the reader can afford to lose. Matchedbettingzest.com does not accept any responsibility and/or liability for any losses and/or damages sustained by anyone using services linked to this site or following the information provided on the site or via email correspondence.